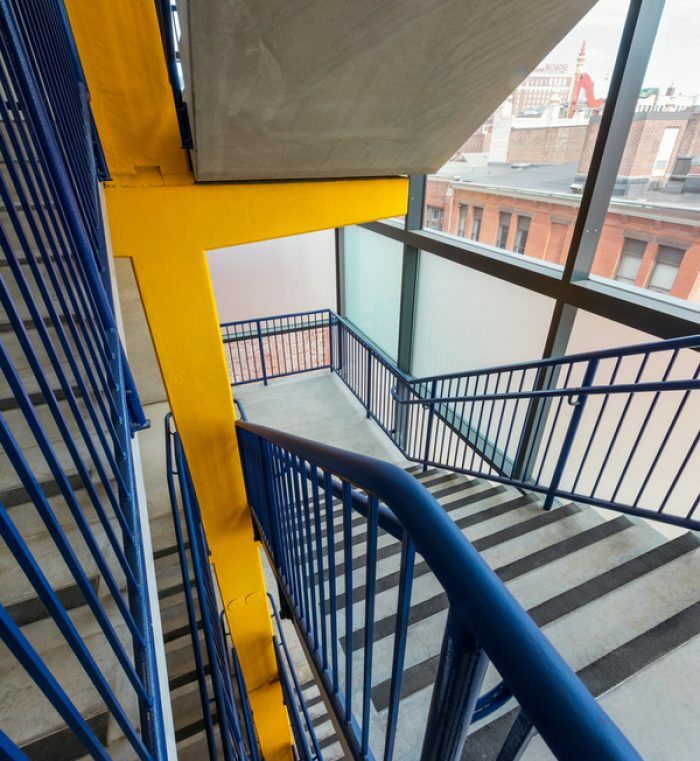 The Johnson & Wales University’s downtown campus has approximately 10,000 students. 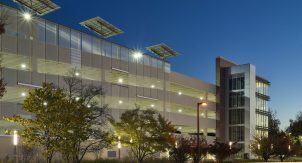 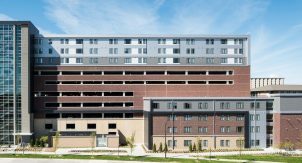 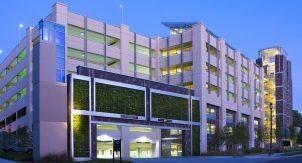 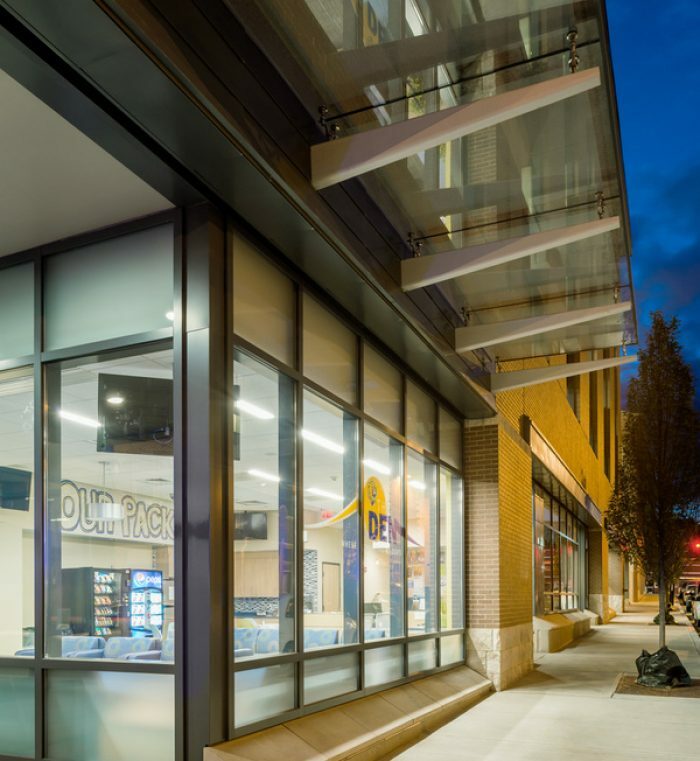 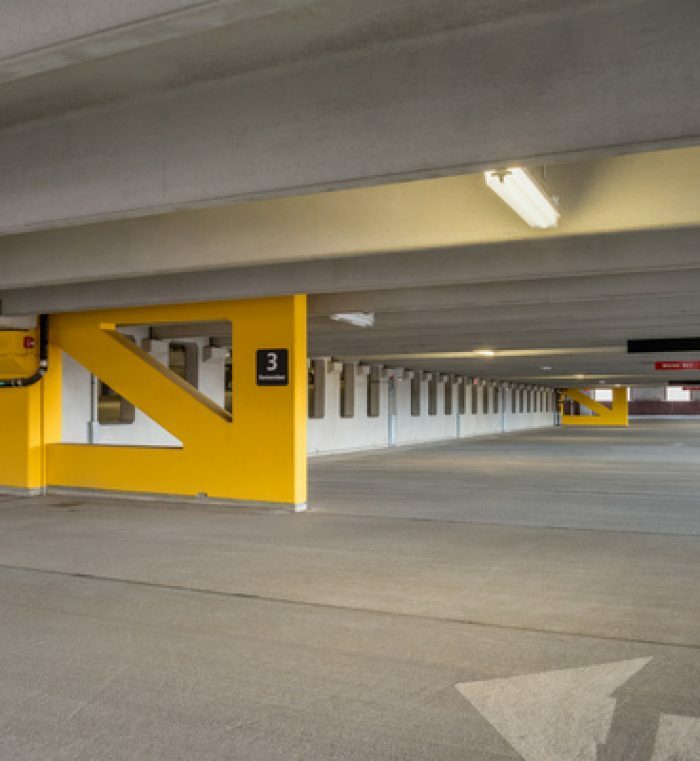 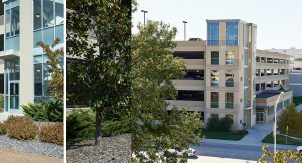 With urban parking at a premium, the University constructed a new 746 space garage on its property at the corner of Richmond and Pine Streets. 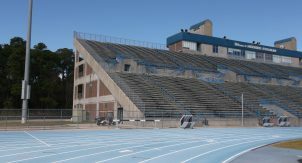 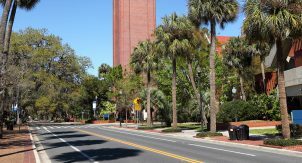 The site is surrounded by buildings, some owned by the University and some private. 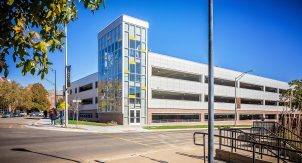 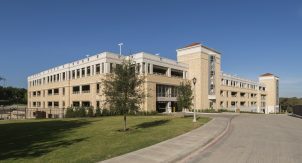 The new parking garage is used by faculty, staff, and students. 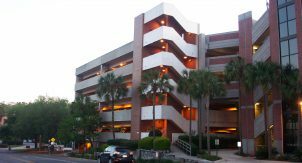 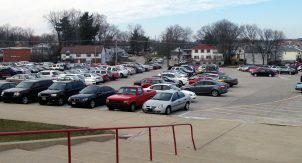 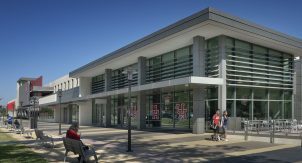 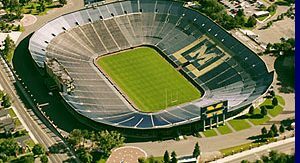 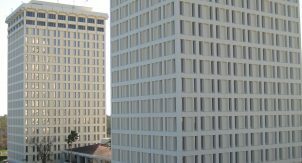 Walker also provided a parking operations plan, parking and revenue control system design, market research, rate analysis, operating budget, NOI projects, and operator RFP specifications and procurement assistance. 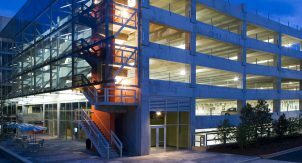 An infiltration/ground water recharge tank (with an open bottom) is located under the main parking ramp. 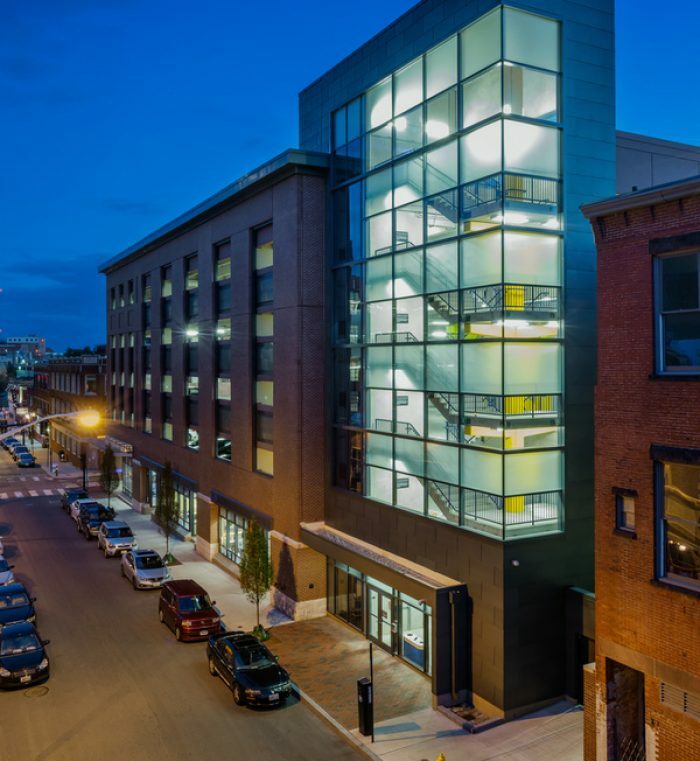 The Narragansett Bay Commission encouraged this feature in order to keep drainage water from flowing directly into the city’s combined storm/sewer system. 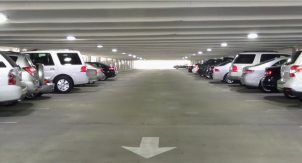 The lighting, although not LED, is efficient and connected to motion sensors so the light level turns down when the lighting is not needed. 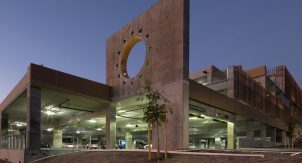 Rainwater from the entrance canopy scuppers is diverted to drywells adjacent to the paved sidewalks and diverts this water to the recharge system.